We offer Bronze Sheet to our clients. Size (inches): 1/2" to 6"
PB Sheets are available in a standard size of 4ft x 14in. They are used for various applications in the automotive industry, forgings and stampings and so on. We provide sheets which are as per ISI Standards suting the need of the customer. 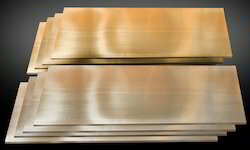 Our company is engaged in supplying a broad range of high quality Bronze products. Available in various forms such as flats, coils, rods, pipes, wires and sheets, these products can be customized as per the clients’ specifications. Working to garner maximum client satisfaction, our professionals ensure to deliver the order with utmost safety and within minimum possible time. With the use of state-of-the-art technology, our vendors are able to manufacture Phosphorus Bronze Sheets, which finds application industry. These are manufactured in compliance with the industry standards to ensure that they suit to the requirements of the clients. Our sheets are durable, corrosion resistant, ductile and flexible in nature and are ideal for various applications. 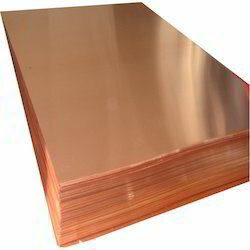 Phosphorous Bronze Sheet , we offer are pieces of metal that are widely used in various commercial applications. These gun metal sheets are available in 14x 48 size. These are widely used by fabricators, contractors, & other customize Applications for special projects.